Marketing Blasphemy: Don’t Use Your Logo? – StratGo Marketing. Plug-in marketing department services. Marketing Blasphemy: Don’t Use Your Logo? Google famously broke the rules about brand logo use. While their maverick approach has paid off, general best practice guidelines are still relevant. Consistent logo use across marketing communications is one. Another best practice is making sure you have contextual appreciation and a corresponding usage plan. Unfortunately, when that fails, the outcome is lousy communication. For example, take the billboard that’s impossible to absorb at 65 miles per hour. The creative probably looked great on the computer, where the approver had time to take it all in at close range. But not on the interstate highway. Another example is retail signage. Whether designed to be read from a fast-moving vehicle or just at a distance in the parking lot, the same principle applies: the communication must register quickly. Of course, maybe the logo itself needs some design improvements. Graphic credit: Olive Tree Marketplace website. 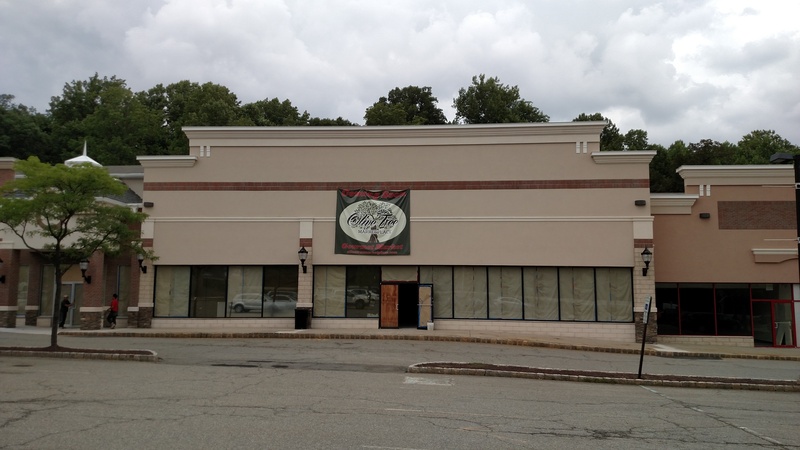 Which leads me to the Olive Tree Marketplace, soon to open its second store in Denville, NJ. Great. I know what to expect and will visit. But what about the thousands of cars passing by on the 50 mph state highway every day? Will they be able to take note of the name and follow-up like me? Not likely. Here’s the temporary sign on the main shopping center stanchion. You can’t read the logo driving by — nor via full-zoom on my smartphone camera. 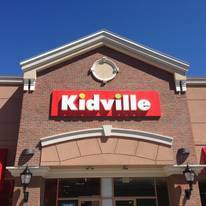 Perhaps the shopping center management posted the logo sign, or maybe it was at the direction of store ownership. I’m sure it was well-intentioned. Either way, the better option would have been a sign with plain text like: New Gourmet Food Retailer – Olive Tree Marketplace. 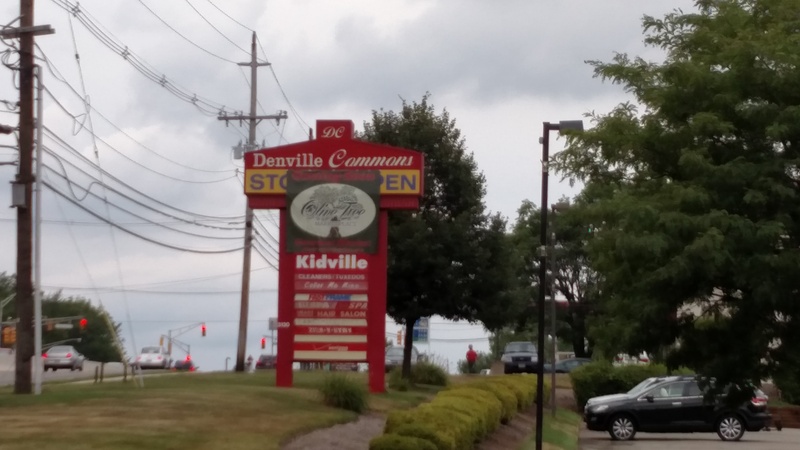 Once the store is open, look for the shopping center sign to be properly updated with Olive Tree Marketplace in plain text. Just like the other names on the stanchion. What about if you’re already inside the shopping center? Can you read the name above the store? It’s hard. I had to walk close to the work-in-progress store to read the temporary sign. This photo was taken from the distance of a typical parking spot. 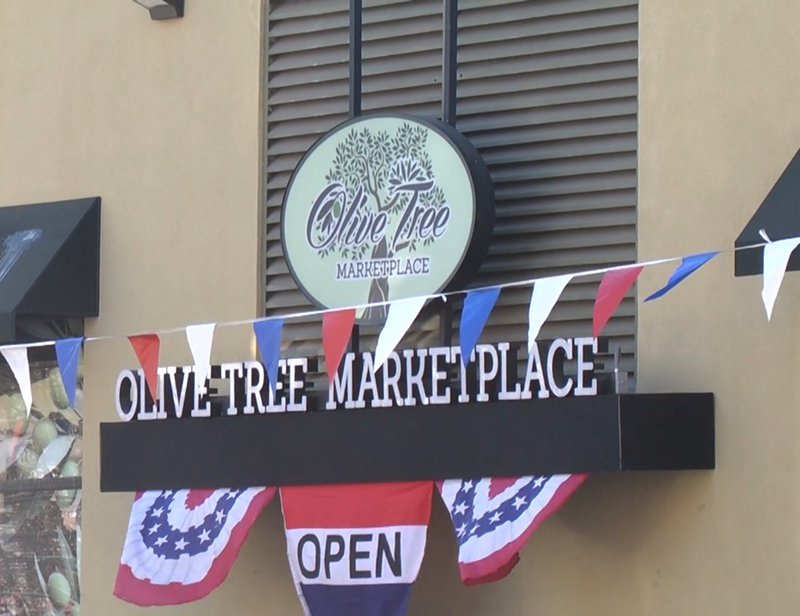 Olive Tree Marketplace in Denville Commons shopping center. 8/10/2015. Credit: Harvey Chimoff. One option: consider taking a page from the Google playbook (will use multiple versions of their logo) and go with a slightly modified logo, perhaps with a less prominent tree graphic, or even just the name with no logo. Let’s return to my point about logo usage context. Consider the Olive Tree Marketplace logo in the context of the company’s website. It works much better in this context, even though the logo is a bit busy for my taste (font treatment of the name is hard to read and competes for attention with the tree background instead of all the elements being complementary). I could be overly analytical, though. Credit: Olive Tree Marketplace website. However, maybe Olive Tree Marketplace ownership has realized all this. To their credit, they’ve taken a combo logo with text name approach with their first store in Staten Island, NY. Olive Tree Marketplace – Staten Island, NY. Credit: screen grab from Progressive Grocer magazine video. The owners of the Olive Tree Marketplace are no strangers to the retail food business, and their new concept looks good. So, if you’re in the area check out the store — even if you can’t read the logo. ← Marketing is Fun, Differentiation is Hard. Part 3 of 3.